Andrew was born in 1996 in Independence, Missouri to parents Greg & Tammy surrounded by his extended family. As the oldest, he was the center of everyone's universe. In 1997 he was thrilled to gain a new best friend, playmate, and little brother - Alex. They have been inseparable since day one. 1998 brought the first move to St. Paul, Minnesota where he learned to love the snow (he's now an avid snowboarder). In 2000, his family moved to their permeant home in Chandler, Arizona. There they grew to appreciate and love the sunshine. He spent a quick but life-changing year with his family in Santiago, Chile during 2012-2013 before returning to Arizona to graduate from high school and get a year of Community College under his belt. In the spring of 2015, Andrew decided to serve a 2-year mission for The Church of Jesus Christ of Latter-day Saints. On Wednesday, August 26th, he boarded a plane headed for Salt Lake City, Utah and spent the next two weeks at the Missionary Training Center in Provo. 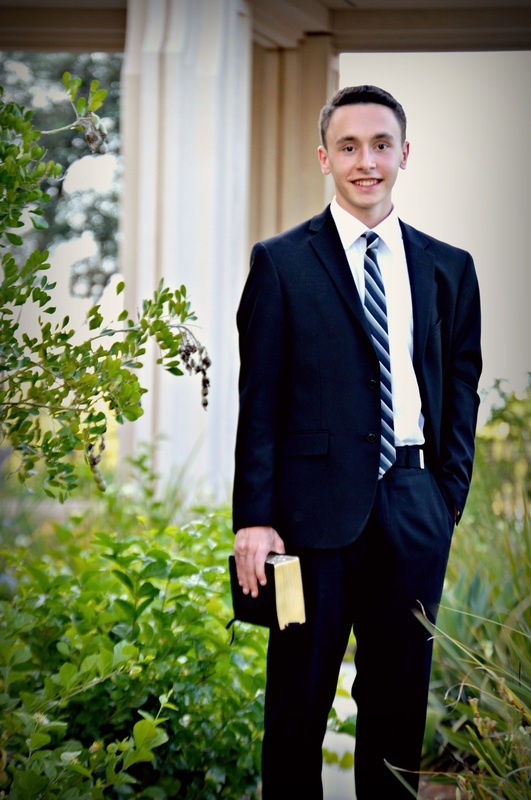 On Wednesday, September 9th, he will board a plane destined for his final destination in Eugene, Oregon and be in the Lord's service until late summer/ early fall 2017. We look forward to hearing all about his new experiences! Elder Schick will check his email weekly but would love to get good old fashioned snail mail. Please use FIRST CLASS or PRIORITY mail so that it can be forwarded to him the same day.